Hurricanes have been described as one of the most destructive forces of nature, and for good reasons. Hurricanes occur nearly every year between the months of June and November, but are most prominent between the months of August and October. Once a Hurricane has been recognized by weather experts, they will label the severity of winds from category one to five, five being the most deadly, reaching wind speeds of 157 mph or higher. Arguably the most infamous hurricane in recent years has been Hurricane Katrina, which reached category five and sustained itself as a category three (111 – 129 mph) when it hit the Mississippi coast, killing over 1,200 people. The storm caused a total of 32 tornadoes, caused tides reaching 25 feet above normal sea level, and dumped 10 to 14 inches of rain on the landscape. It is estimated that Katrina caused over $75 billion worth of damage, and cities such as New Orleans have still not completely recovered. 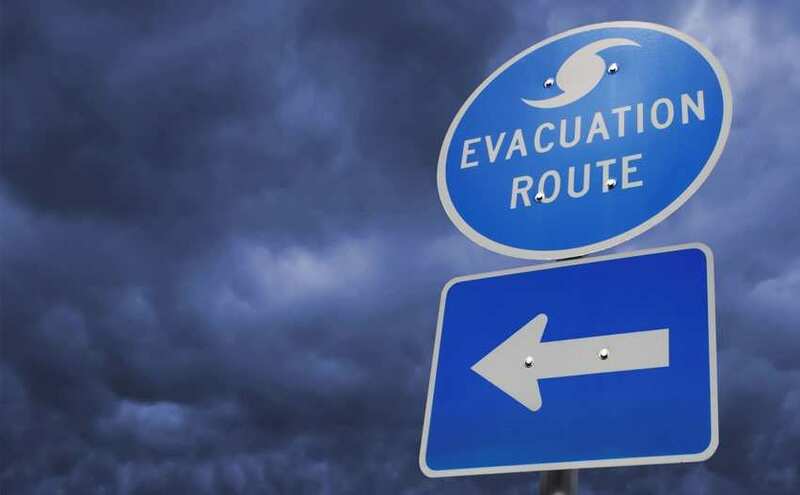 If you ever find yourself in the midst of a tropical storm, and don't have the opportunity to flee the area, it's important to take every precautionary measure possible to ensure your and your family’s safety. Please note however, if you live in a mobile home, you need to take every possible effort to relocate yourself to a more stable building. Mobile homes are not structurally sound, and will be torn apart during the severe winds and flooding. It's also vital that you stay away from all windows and doors as these are the most vulnerable damage points of any structure. The hurricane will pick up debris which becomes a lethal projectile, so looking at a storm through a window is not a smart thing to do! Keep yourself in the most central portion of your home, apartment or building. It's best to stay under stable furniture such as a table in case the storm rips through your roof, resulting in flying objects and falling debris. Hurricanes are also well-known for causing floods, and many think that going to the highest level is the best choice, but it's not. The further you elevate yourself, the stronger the winds become. So if you live in a high rise apartment, you need to evacuate the premises immediately or locate yourself to a lower level if that's not an option. If flooding becomes a factor, you can then start moving higher, but only when facing this problem should you move during the storm. There is a common misconception as well during a storm’s more mellow moments. Many believe the storm will have passed, but often times the winds will pick right back up again as the eye passes, which is why it's important to keep informed on the storms overall location and category level. There are numerous resources for tracking storm activity. Some of the more popular ones include www.weather.com, www.nhc.noaa.com, and www.wunderground.com. Turn off all electrical devices and make sure all plugs are removed from their outlets. Make sure you set your refrigerator to its coldest level, so in case of a power outage, you'll have additional time to preserve your food. Don't use your home telephone or take a shower or bath. Go to your main breaker and turn off all electricity. This is especially important in case of a flood. Use your InEmergencies.com “I’m OK” feature to let your relatives know you’re all right.